At one level, it is understandable that the tortured and still unresolved Brexit process has seemingly consumed the energy and imagination of the Government but, at another, the almost full concentration of effort on this issue alone to the detriment of many others is a worrying development which needs to be corrected. The Government's decision last week to postpone until well into next year at least what to do about property tax is potentially counterproductive, coming on the back of delays in relation to carbon taxes and other pressing issues, notably housing, transport, rural broadband and a myriad concerns associated with the health of the nation, not least further issues arising from the cervical cancer scandal. These developments are a symptom of semi-paralysis at the heart of government. One does not need to have a particular insight to realise that the Government's decision to kick further down the road choices to be made on the future of property tax is largely related to the current electoral cycle, which will see important European and local elections, and possibly a general election, held before a political decision is made on the future of this tax. While we are not advocating increases in the tax, rather clarity on the issue, and are open to recommendations based on proper analysis, that the postponement has been agreed by the Cabinet after such a proper year-long review has been made available is nothing short of disappointing and approaching the deeply cynical. Furthermore, the decision is a throwback to the politics of another era, when such decisions, or indecisions, were taken to the detriment of the proper running of the country. We thought such cynical actions were in the past. Obviously not. The public will be aware, however, that a not insignificant increase in property tax is probably on the way and will have factored that reality into its political consciousness well before any election. 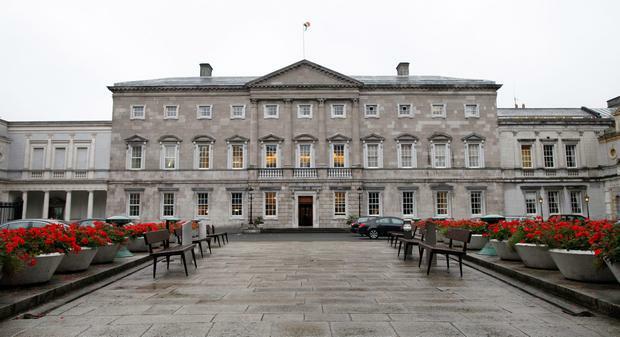 Since the election in 2016, when the public returned a parliament, if not an obvious government, to be followed by 70 days of formulations to put together a minority Fine Gael-led government in a confidence and supply deal with Fianna Fail, politics has not functioned here as it should have done, albeit in a confrontational fashion, but at least with important decisions taken in a timely fashion. It is a disappointment that so-called 'new' politics has not been more fully embraced by the body politic. Add to that the all-consuming events around Brexit, which have dominated the Government's agenda, and we find a system of politics barely functioning on a level that has come to be expected. In credit, the confidence and supply arrangement has allowed the Government to focus on Brexit without fear or favour. That is as it should be. But it should not be an excuse to park all other important decisions or to postpone, delay or otherwise obfuscate and refuse to act in relation to the most urgent needs of society at large.